Jacqueline (Jackie) Rhew earned her Master of Clinical Psychology from Capella University and her BSW from Valparaiso University. Jacqueline has worked in hospital, educational, and private practice settings, both in the Chicagoland area and overseas, including South America and the Middle East. Jacqueline has considerable training in treating adolescents & adults dealing with school refusal, eating disorders, self-injury, substance abuse, gaming addictions, grief issues, trauma, depression and anxiety utilizing individual, family and group therapy. Jacqueline uses dialectical behavioral therapy, rational emotive behavior therapy, cognitive behavioral therapy, narrative therapy, exposure response prevention, and relational therapy during the therapeutic process. 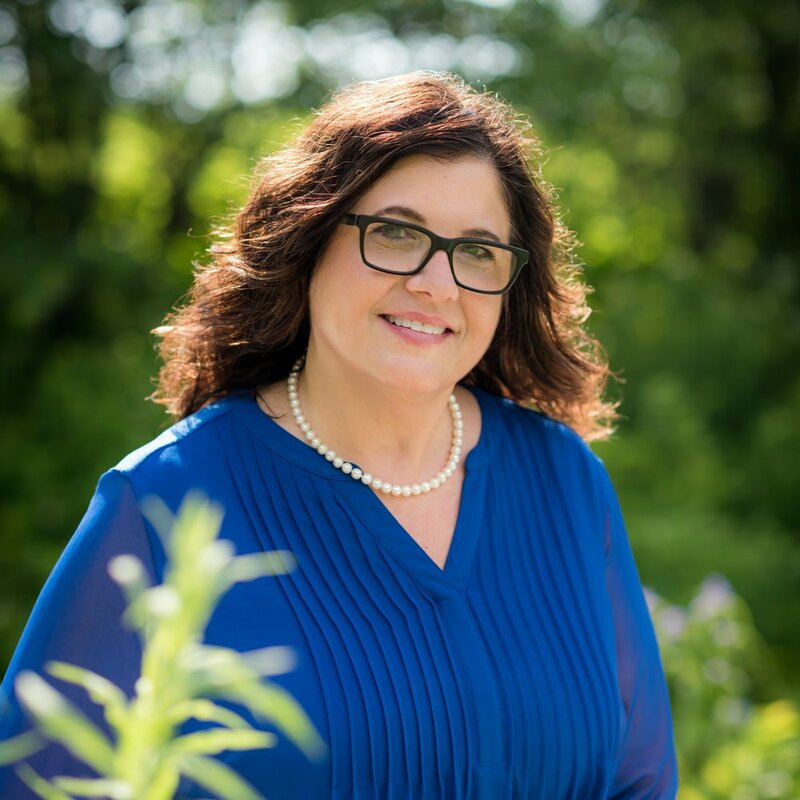 Jacqueline is the co-founder of the Center for Emotional Wellness of the Northwest Suburbs, and serves as a clinical liaison for AMITA Health Alexian Brothers Behavioral Health Hospital, Hoffman Estates. She served as Assistant Director for the School Anxiety/School Refusal Program at Alexian Brothers Behavioral Health Hospital in Hoffman Estates for seven years, a program she was instrumental in creating and developing. Jacqueline has provided 200-plus trainings for professionals and parents, both locally and nationally on topics including anxiety, school refusal, parenting, and self-injury. She has co-authored several publications including School Refusal in Children & Adolescents and has also been featured on both Chicago ABC Channel 7 and CBS Channel 2 newscasts highlighting her work with adolescents struggling with avoidant school behaviors as well as bullying in the schools. Jacqueline was recently interviewed and quoted based on her expertise with her work on parenting by the Chicago Tribune. Dr. Choquette’s practice, Elite Performance Counseling, Inc., is a testament to her vision of building trustworthy and respectful relationships with her clients and community. Robin works with individuals from preteen through older adulthood in individual psychotherapy, family therapy (including parenting strategies), couples therapy, and skill seminars. In addition to her general psychological services, Dr. Choquette consults with a specialized emphasis on performance enhancement for athletes, musicians, artists, corporate executives, and business leaders to help them reach peak performance in their professional and personal lives. She works with youth sporting teams, traveling clubs, and organizations on the mental game of athletics. Robin is the recent past president of the Exchange Club of Naperville, a service club which has donated over $18 million to area agencies. She consults, volunteers, and has served on the board of directors of several other agencies. She is a member of her local Chamber of Commerce, and is a member of several committees, including the Speakers Bureau and Women in Business. Dr. Choquette is described as an individual with unmatched commitment and problem-resolution skills with a reputation as a direct and approachable professional with impeccable integrity and ethics. Dr. Choquette is committed to respecting the principles, sensitivity, diversity and multicultural background of her clients. This site will describe our parenting coaching services, as well as feature an online blog and answers to most frequently asked questions about raising children. Our recently published workbook, Successful Parenting, which can be purchased on this site, as well as Amazon, is first in a series designed to train and encourage parents, educators and coaches on strategies to work with children through focus on self-reflection, communication, values and skill building. Jacqueline and Robin have combined over 35 years working with professionals and parents clinically and have provided over 300 training sessions both locally and nationally on a wide array of topics relating to parenting strategies and raising resilient children through goal directed parenting. Their approach to purposeful parenting has helped hundreds of parents develop plans that are unique to their families, as well as gain confidence in their parenting strategies and help raise healthy and successful young people.